We’re delighted to announce another addition to the team at Titus HQ – Edd Clementson (who has come on board just in time to book his place at the Christmas party!). 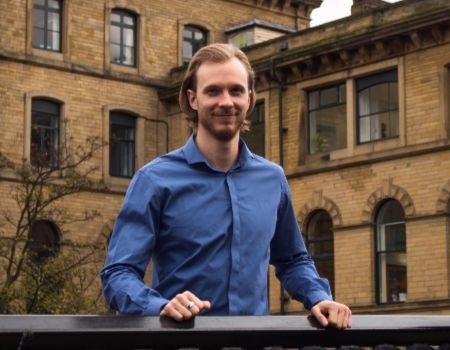 Edd joins the team as an Implementation Consultant, and will be working with our new and existing clients to ensure they’re making the most of their investment in e-learning. A big part of Edd’s role will be assisting each of our customers in achieving high levels of usage and engagement with their learning platforms, and looking at creative ways to better embed e-learning into the wider curriculum. Edd, how long had you been working in the educational technology field before joining Titus? I’ve been working in the e-learning industry for over seven years now. After university I started working in a technical support position where I quickly learned I had a passion for e-learning technologies – and I’ve not looked back since. After moving companies to work with a wider range of technologies I progressed through a few similar positions until I settled in an implementation consultancy role. This has provided me with a wealth of knowledge in implementing e-learning solutions into teaching and learning environments. Both mobile applications and gamification are topics that interests me greatly when discussed alongside e-learning. Using games to “camouflage” or reinforce learning is a great idea. Promoting healthy competition with leaderboards, blended with rewards and achievements (in-game and real-world) can really help students strengthen and support their knowledge of a topic. Mix in mobile apps which are readily available to a large number of learners around the world, and you have a recipe for success with learners being able to learn and game on the go. I feel I can really add to the Titus team and have a positive impact on customers with the broad range of knowledge and experience I’ve picked up working with UK and international schools as well as businesses. The team itself has a great dynamic that I’m lucky to be a part of. I’m looking forward to getting to know the customers and helping make a positive difference to the end users’ experience of each platform I work with. In the near future I’m planning a few projects that’ll really help customers understand how they can better engage with their learners. What do you think has been the biggest shift in educational technology during your 7 years in the sector? The advancement and necessity of mobile technologies alongside e-learning solutions. Over time as availability of mobile devices has increased it’s been clear that the requirement for mobile access to e-learning platforms has also skyrocketed. Access on the go to key items of information is often a crucial requirement whether it be for admins, teachers, learners, parents or anyone else connected to the learning community. I feel the importance of being able to easily report and display the progression of students/learners is becoming more of a focus within schools. Revealing this information not only to teachers but also more to parents will allow them to be more involved with the learning journey of their children, and I feel more institutions are becoming aware of this. Parental engagement through e-learning solutions is becoming more popular, particularly through the use of mobile applications. For example through the use of push notifications to alert parents of key notices or documents or the ability for parents to check their child’s homework and grades. When I’m not drinking coffee or browsing animated cat photos online I’m generally found climbing ropes, jumping boxes or carrying sandbags, all in preparation for my next Crossfit competition. I only started training for this sport earlier this year but I’m hooked and look to enter as many competitions as I can in the year ahead.